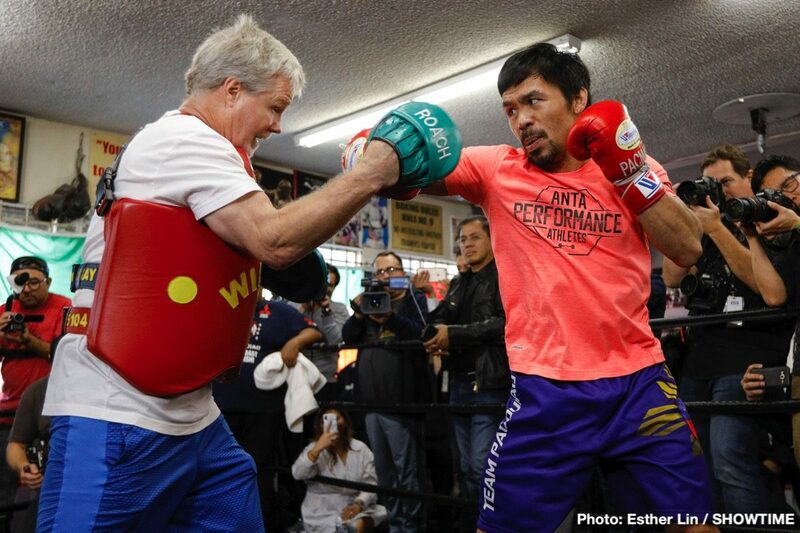 Manny Pacquiao feels very strongly he has more to achieve in the sport of boxing before he is ready to hang ’em up and retire, full-time into politics. But as fight fans everywhere know, Pac Man has already achieved oh, so much. An absolute all-time great, the man who won world titles in an incredible eight weight classes has fought some epic fights against great opposition. “I think my top opponents are Oscar De La Hoya, Juan Manuel Marquez, Marco Antonio Barrera, Miguel Cotto, Floyd Mayweather, Erik Morales and Ricky Hatton,” Manny said. And then there are the excellent fighters Manny fought but did not place on his list; such as: Shane Mosley, Antonio Margarito, David Diaz, Tim Bradley (who of course scored that hugely controversial decision win over Pac Man back in 2012) and one or two others. It’s the first big fight of the year, and the January 19th fight is actually a pretty tough one to call. But we all know who the fans are rooting for.